Your Players Are Tired of Paying Bills... Here’s a Bill That Pays THEM! 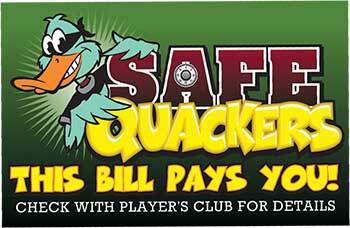 Your casino is offering rewards in cash and prizes to ALL players catching these notorious duckys WANTED in trying to crack your safe. 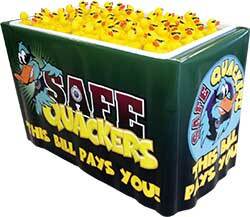 CATCH the Quacker - Players earn their duckys by reaching base point totals you set via their Player’s Club card and pick one out of the “Pond” we provide. 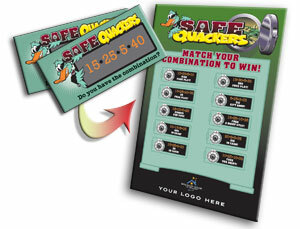 SCRATCH the Quacker - Players take the scratch off located inside the duckys and reveal what winning symbol they have. 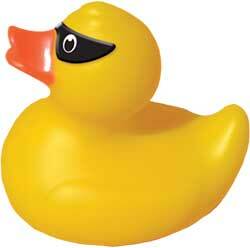 MATCH the Quacker - Players match their winning symbol to the prizes YOU set on the prize board. 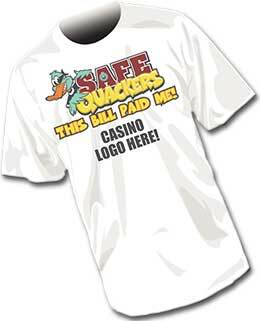 SAFE QUACKERS is an exclusive SHC promotion protected in your marketing area and completely turnkey- included are Tee shirts, employee buttons, slot wobblers and more. Call today! 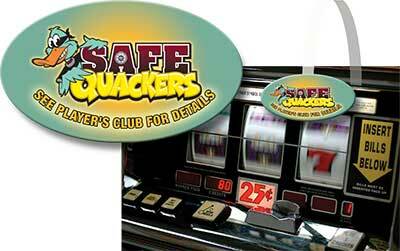 You can also print the prizes directly on the Prize Ticket.